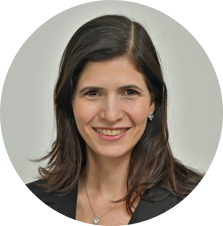 Dr. Pascale Michaud is a senior advisor and partner at Cambridge Advisors to Family Enterprise, a specialized, international advisory firm serving family-controlled companies and families with wealth. She is a fellow at Cambridge Institute for Family Enterprise, a leading education and research institute on the issues facing family enterprises. Both organizations are part of Cambridge Enterprise Family Group, a global organization founded in 1989, with headquarters in Cambridge, Massachusetts, devoted to helping families achieve multigenerational success for their family legacy, their companies, and other activities, and sustain their long-term financial wealth. Dr. Michaud is an advisor to family enterprises throughout the world on strategies and governance models for their successful continuity. Based in Montréal, Canada, she advises multigenerational family enterprises of diverse sizes, generations, and industries in North America, Latin America, Europe, and Asia. She advises on issues of corporate growth, business strategy and governance, portfolio performance, innovation management, family office management, leadership transitions and succession planning, next generation development, family governance, and family and corporate philanthropy. Dr. Michaud is a frequent speaker and instructor on business strategy, innovation management, and family enterprise governance to family business leaders and executives at conferences, education programs, and family meetings. She is a facilitator in the Future Family Enterprise: Sustaining Multigenerational Success program at the MIT Sloan School of Management, an innovative new program for multigenerational families to prepare themselves for the future. She is also a facilitator at Harvard Business School’s Families in Business program. She also served on the board of the Family Firm Institute (FFI), the preeminent association of family enterprise professionals. Dr. Michaud’s international research addressing innovation management and the development of knowledge-driven systems is highly regarded. She has authored a growing body of articles on family enterprise success, including “CEO Succession in the Family Business,” “What is a Portfolio Board?” and “Top Leadership: Who is Architecting Your Family Enterprise?” published by the Cambridge Institute for Family Enterprise. Earlier in her career, as president of the Business Families Foundation (BFF), Dr. Michaud grew the philanthropic foundation into a global organization, producing and distributing specialized education for family enterprises and their advisors. She led the development of the first online course and apps in the field of family business education, in multiple languages, and a wide array of family business educational videos with family enterprises and expert advisors. She is a former board member of the National Research Council in Canada. She began her career as an economist in public policy and spent over twenty years in management consulting including at McKinsey & Company. Dr. Michaud earned her Ph.D. in Science Policy & Technology Management from the University of Sussex in the United Kingdom, and both her M.A. in Economics and B.Sc. in Economics from the Université de Montréal in Canada. She is fluent in English and French.